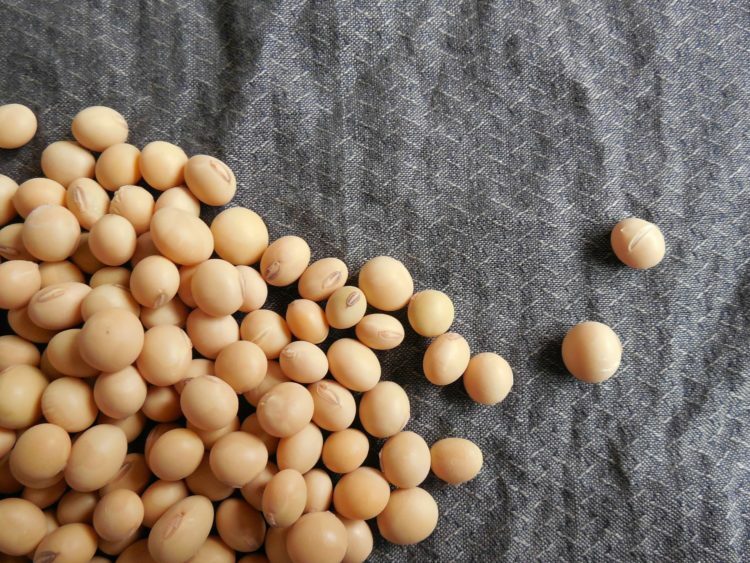 Many people are concerned about natural phytoestrogens in soy, and they needn’t be. In some parts of the world, soy foods have been eaten as part of a regular diet for years. And for good reason. Soybeans and foods made from them offer up a pretty impressive nutritional profile. 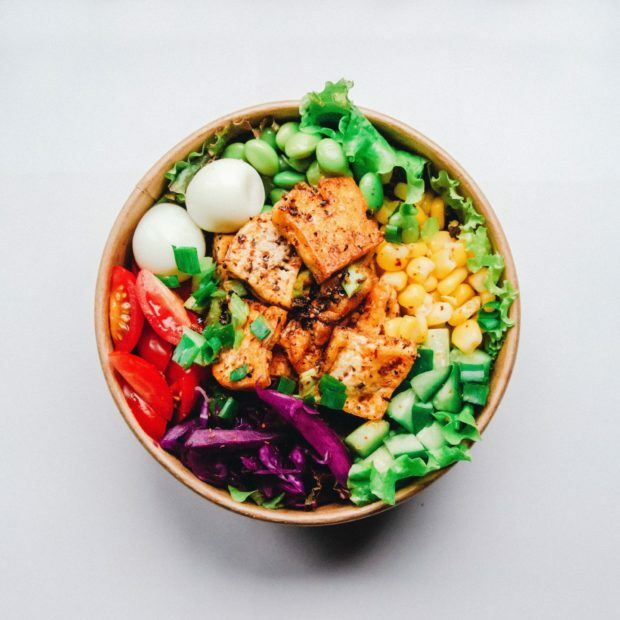 For one thing, soy is a complete plant protein: it contains all of the essential amino acid building blocks that are used to manufacture all kinds of specialized protein structures your body needs. Soy is also low in saturated fat and naturally cholesterol-free (plants can’t manufacture cholesterol, only animals do). 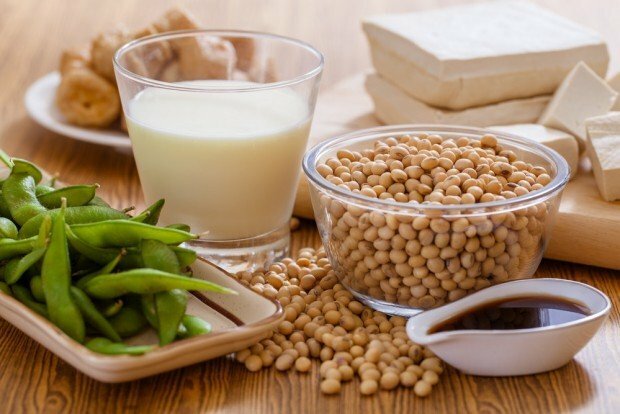 Adding soy foods to your diet could boost your intake of vitamins, like folate and vitamin K, and minerals like calcium, magnesium and iron. Also, you’ll increase your intake of fibre if you were to eat whole soybeans. And yet I run into people all the time who unnecessarily avoid soy, because they believe it contains oestrogen. It’s such a common misconception that I decided to devote and entire article to this issue, in hopes of clearing it up. The misunderstanding seems to stem from the fact that soy—and plenty of other foods—contains natural plant compounds called isoflavones, which are classified as “phytoestrogens.” (Phyto means plant.) When some people hear that soy foods contain phytoestrogens, they may turn their backs on soy foods in fear that they will expose their body to too much estrogen. Let me state this as clearly as I can: Isoflavones are referred to as phytoestrogens because they have a chemical structure that’s similar but not identical to the hormone oestrogen that’s made by the body. The key point is this: Phytoestrogens in soy are not the same as oestrogen made by the body, and they do not exert the same effects on the body. Some tissues of the body—for instance brain, bone, heart, breast and prostate—have structures within their cells called oestrogen receptors. These receptors sit inactive inside the cell until oestrogen enters the cell. Once oestrogen gets inside and binds to the receptor, the oestrogen can then exert its effects inside the cell. Here’s where things get a bit more complicated—stay with me. There are actually two different types of oestrogen receptors, and the body’s natural oestrogen isn’t particularly picky about which one it will bind to. It will happily bind to both types of receptors. Phytoestrogens, like the isoflavones in soy, prefer to connect with only one type of receptor. And this is what makes phytoestrogens so distinctly different from the body’s own oestrogen. Since phytoestrogens prefer to bind with one type of receptor over another, it means two things. First, it means that at those receptors where phytoestrogens don’t care to bind, natural oestrogen can attach and exert its effects within the cell. But when phytoestrogens bind to their preferred type of receptor, they sort of “get in the way”—which makes it more difficult for the body’s natural oestrogen to bind. And therein lies the unique effects of phytoestrogens. They can act like oestrogen in some tissues, while in others they can interfere with the action of the body’s natural oestrogen. So, these plant compounds may mimic the effects of oestrogen in tissues where it may be beneficial. And at the same time, they may interfere with the action of oestrogen in other tissues, where reduced exposure to oestrogen might be considered protective. Phytoestrogens are part of a plant’s natural defense system, working primarily to protect the plant from damaging fungus. That’s why they are actually somewhat widespread in plant-based foods. Although soybeans are probably the richest source, lots of foods contain phytoestrogens. They’re found in all kinds of beans other than soy, as well as nuts, whole grains, seeds like flax and sesame. And there are even small amounts in certain fruits and vegetables, including apples and carrots. Herbalife Nutrition is a registered corporation that develops, markets, and sells dietary supplements, weight management, sports nutrition, and personal-care products.